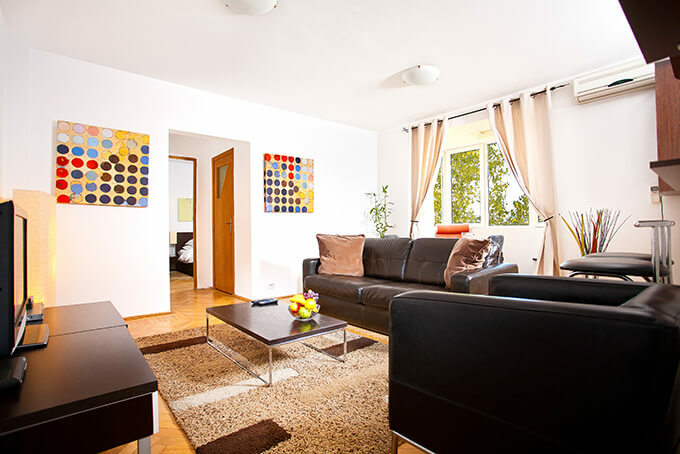 Are you in Bucharest and looking for a Bucharest apartments for rent short term for you and your family? Do not struggle as there are Old City Bucharest accommodation options, able to provide all the luxury and comfort you need to feel right at home. Bucharest is the capital, as well as largest city of Romania, having a very dynamic business environment, an intriguing cultural background and a vibrant night life, attracting thus visitors from all parts of the world, for both business and pleasure. With our luxury apartments for rent in Bucharest, you will be able to enjoy all the city’s main attractions, from pubs, fine restaurant, modern art galleries to posh clubs and casinos. Choosing an Old City Bucharest accommodation has many advantages over going to a 5 star hotel, first and perhaps most important, the price. Rates are considerably smaller, while none of the glamour and luxury being lost along the way. Unirii square apartments for rent have enough space to accommodate a whole family, this aspect being very useful for those traveling with children or relatives. Unirii Square apartments for rent come with designer furniture, fully equipped kitchens, air conditioning, free high speed Wi-Fi Internet connection, as well as huge flat screen TVs and media centers, for our guests’ entertainment. After a long day of visiting Bucharest’s best tourist attraction you want to be able to get to your lodging as easily as possible and the location of our apartments makes that possible. We also have Universitate Square apartments for rent, short term rentals city center located and downtown short term rent apartments. Having your very own peaceful retreat, right in the heart of Bucharest has never been easier. Whether you are planning on a short business trip or a long term stay, our Old City Bucharest accommodation will suit you like a glove. 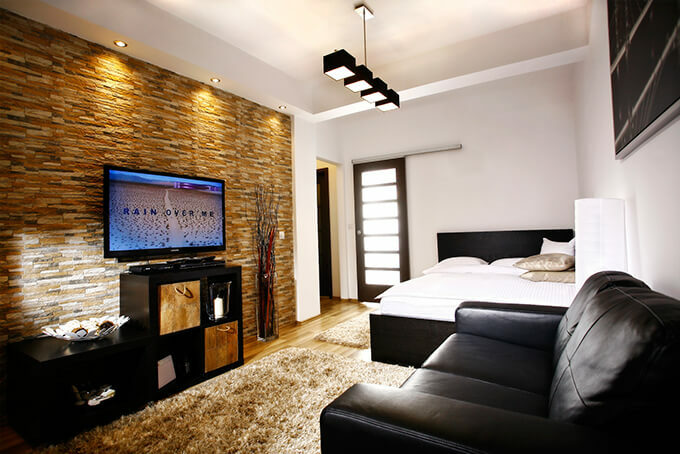 Start discovering Bucharest finest destinations and enjoy your stay in our luxury Unirii Square apartments for rent! 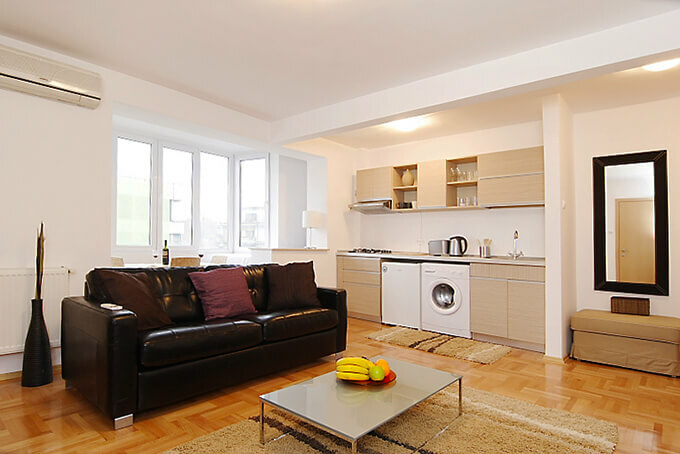 Our most stylish studio apartment will be your gate to the Old City Lipscani district, it’s nightlife, historic architecture, and vibrant restaurants and cafes. With an exquisite view from a breakfast nook and balcony, fully equipped kitchen, comfortable queen bed this brand new building can be your home in Bucharest.